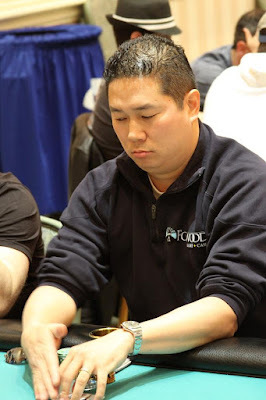 John Chan has taken down the $1,500 NLHE Event at the Foxwoods Poker Classic. 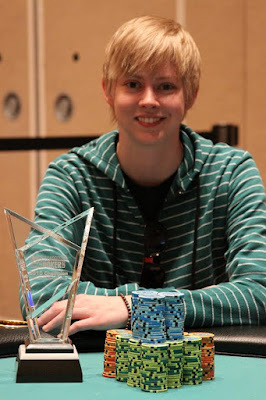 He takes home $64,100, the trophy and the Foxwoods leather jacket. He mentioned his friends at home are following along at www.FoxwoodsLive.com since his phone battery died!!! 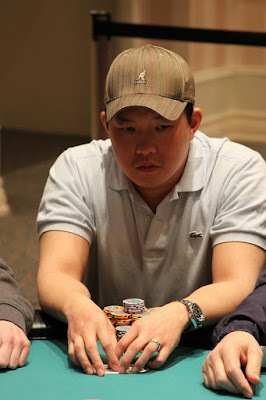 The board ran out [As][4s][3c][5d][8s] and Chan pairs his ace to win the pot and eliminate Chabot in second place. 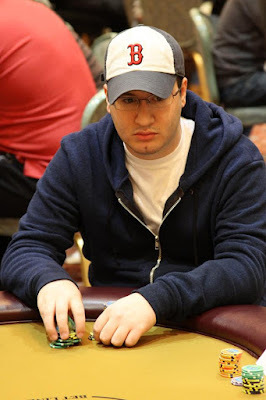 The $300 NLHE Shootout is now down to the final 18 players. Blinds are currently 1K-2K with a 200 ante. Play will continue this evening until they reach the final table of ten or 2am, whichever comes first. 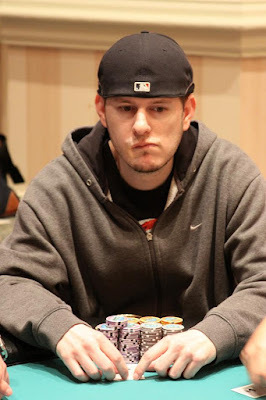 Heads-up play in the $1,500 NLHE event at the Foxwoods Poker Classic is now underway. 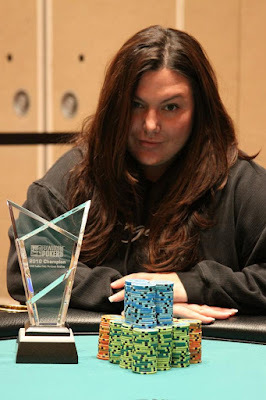 Charlotte Chabot holds the chip lead on John Chan. 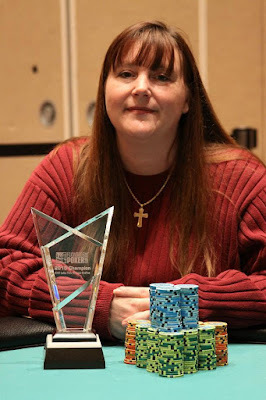 First place pays $64,100 while second takes home $35,018. 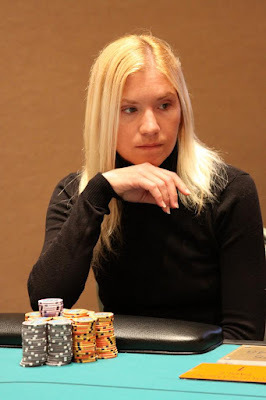 The board ran out [Ad][Tc][5d][2h][Jh] and Chabot paired her ace to win the pot and eliminated Kovaci in 3rd place. 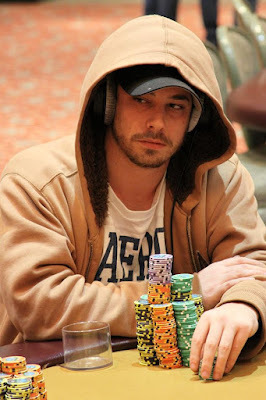 There are now 45 players left in the $300 NLHE Shootout and all players are in the money. The board came [Jc][9d][6d][7h][8s] and Chan's ace-king high held up to win the pot and eliminate Djokovic in 4th place. The final four players are about to return from break. The blinds will be 10K-20K with a 2K ante. 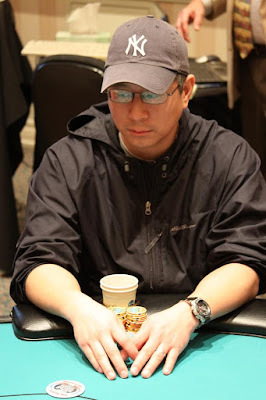 Chin had Kovaci dominated and kept the lead when the flop came [As][Qc][4s]. 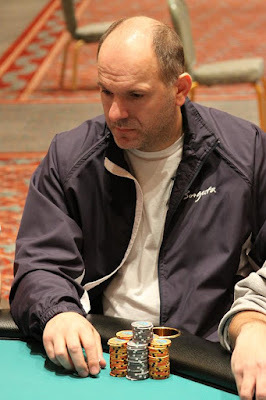 The [4c] on the turn gave Kovaci a flush draw in addition to his straight draw. 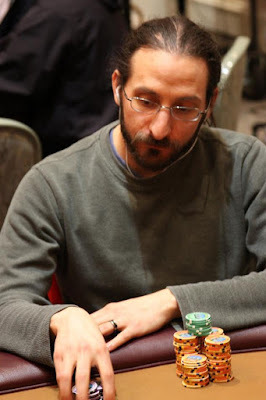 The [Tc] on the river complete his flush to win the pot and eliminate Chin in 5th place. 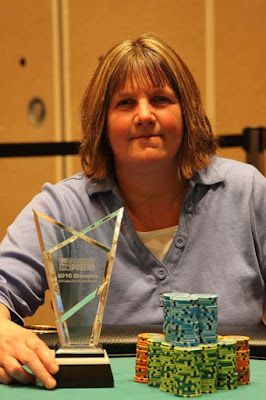 The board came [Td][8c][6d][Tc][5c] and Chan's jacks held up to win the pot and eliminate Sherman in 6th place. Barnes was ahead with his pair of jacks but Chabot quickly took the lead when the board came [As][Kd][5h][7d][9c]. 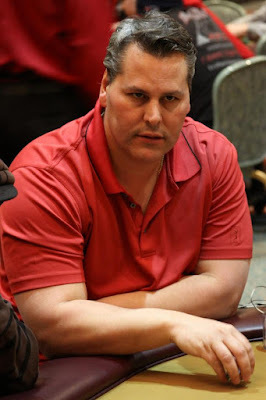 Chabot took the pot and Barnes was eliminated in 7th place. Kovaci had outflopped Hoglund, making a set of sevens. The turn was the [Ac] and the river came the [6d]. 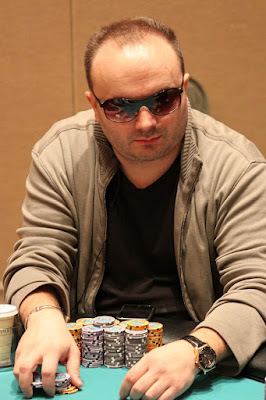 Kovaci took the pot and eliminated Hoglund in 8th place. Fienberg was in the lead but Chan took the pot when the board ran out [Td][9s][7c][Qh][2s]. 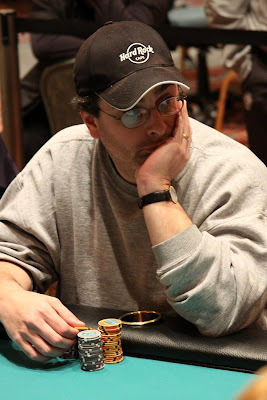 Chan paired his king and Fienberg was eliminated in 9th place. 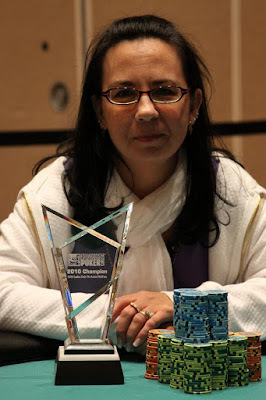 A total of 414 players entered the $300 NLHE Shootout event. There are 105 players remaining and the final 45 players will finish in the money. 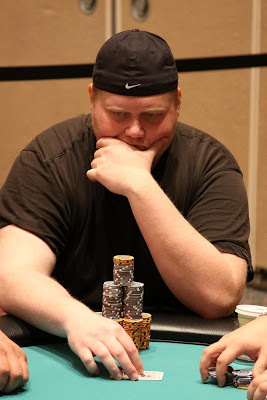 The board ran out [Qc][7s][6c][9s][6d] and Barnes made a full house to win the pot and eliminate Sykes in 10th place. 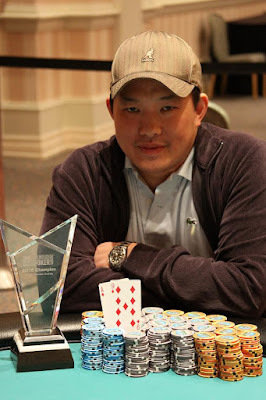 The board ran out [7h][6h][3d][Kc][6d] and Chin won the pot to double up. 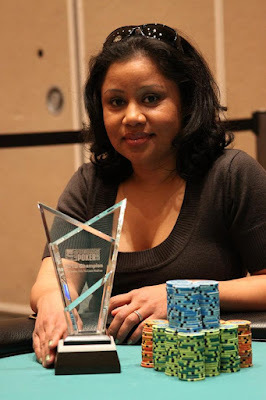 Sykes was left with only a few thousand chips. 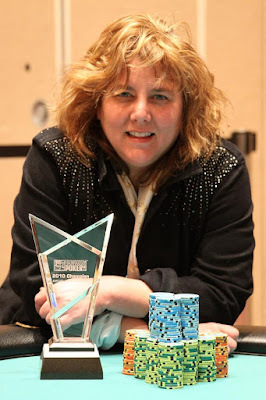 However, in the minutes after being crippled, Sykes has been all in twice and won both pots. He is back up to around 60,000. On the first hand, in his own words, he "fist pumped snap shoved" with [7d][4s] and beat out pocket fives. The second hand he was all in with [4c][4d] and his opponent's [Ah][Th] did not improve. We are down to the final ten players in the $1,500 NLHE event. The players are currently on a break. 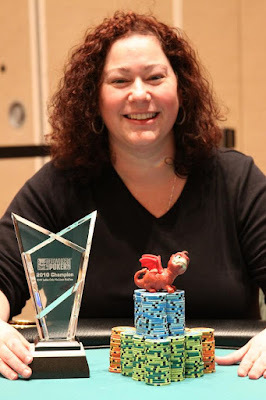 When they return, the blinds will be 5K-10K with a 1K ante. 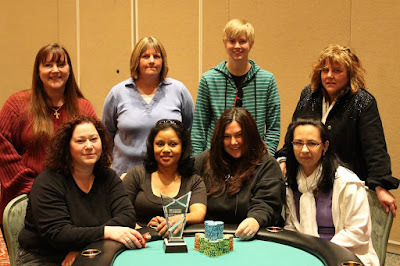 The final eight players in the $300 Ladies Only NLHE event have agreed on an 8-way chop. The players will continue play to determine who wins the trophy and the Foxwoods leather jacket. Winner photos will be posted shortly. 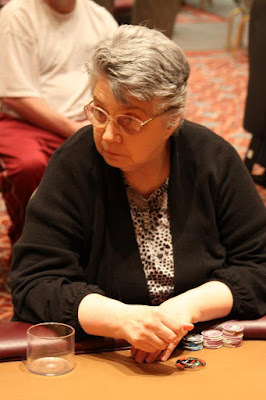 Today at the Foxwoods Poker Classic is the $300 NLHE Shootout event. 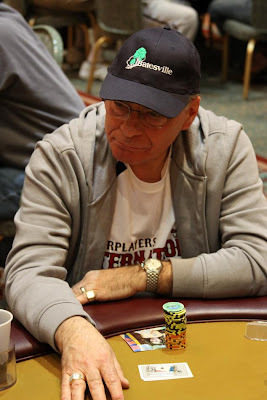 Each table from our 10am and 1pm sessions play down to the final three players. Those players all return for the final round starting at 4pm. 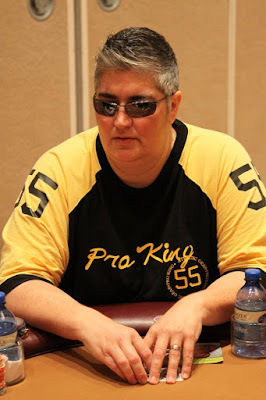 The $300 Ladies Only NLHE event is currently playing out the final table. There are eight players remaining. 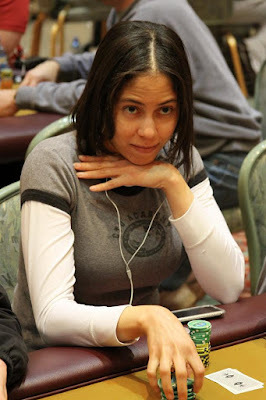 The $1,500 NLHE event just started day two play. There are 17 players remaining and they will play down to a winner. Stay tuned to www.FoxwoodsLive.com and www.Twitter.com/FoxwoodsPoker for all of the updates, photos and videos. 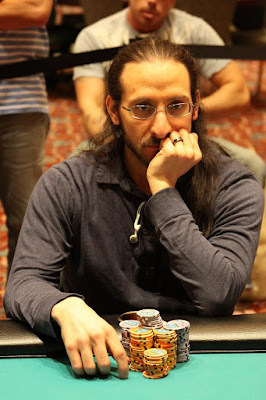 With top 20 spots paying and 21 players left, the bubble boy is knocked out of the $1,500 NLHE event at the Foxwoods Poker Classic. 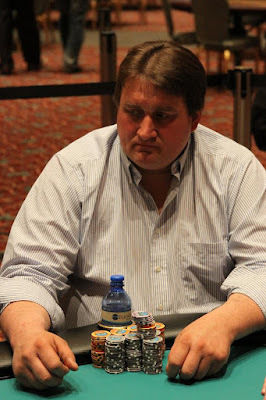 Day one of the $1,500 NLHE event at the Foxwoods Poker Classic has come to an end. A total of 17 players will return tomorrow at 1pm to play down to a winner. 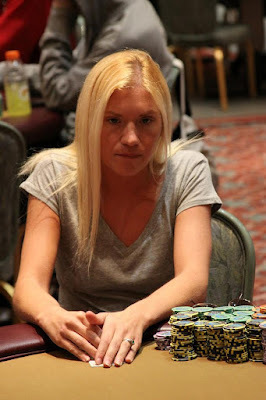 Play has concluded for the day in the $300 Ladies Only NLHE event at the Foxwoods Poker Classic. Ten players remain and play will continue tomorrow at 1pm.